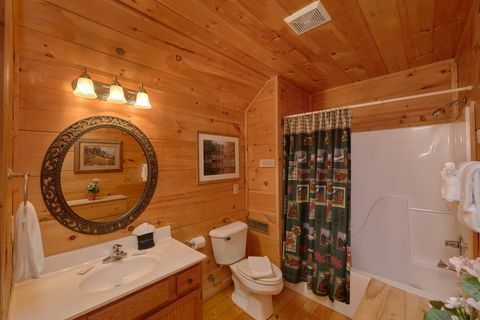 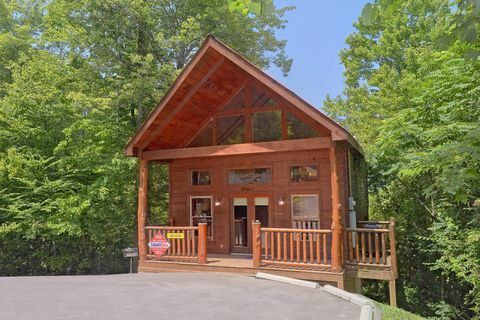 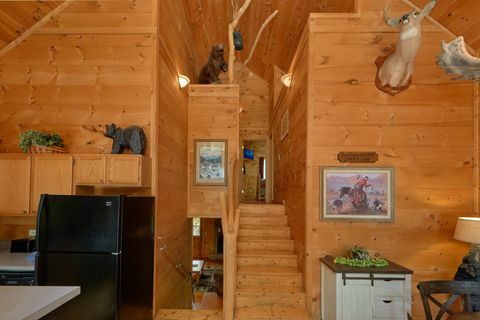 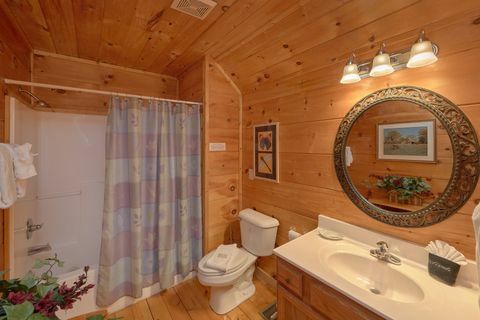 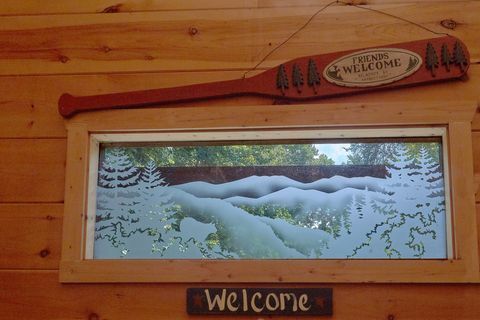 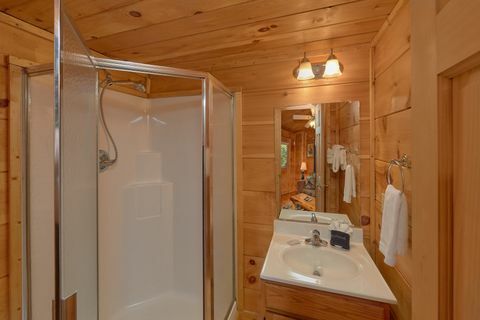 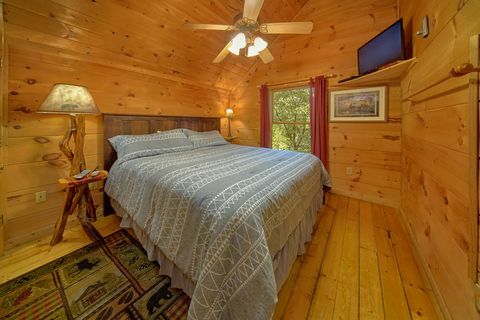 "Bar None," a Smoky Mountain 2-bedroom cabin rental, places guests in between Pigeon Forge and Gatlinburg, allowing visitors staying in this cabin in the Smokies to access the attractions of both cities quickly and easily. 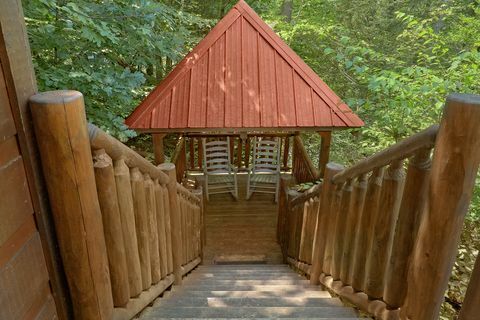 Bring your family or friends for a memorable Smoky Mountains experience! 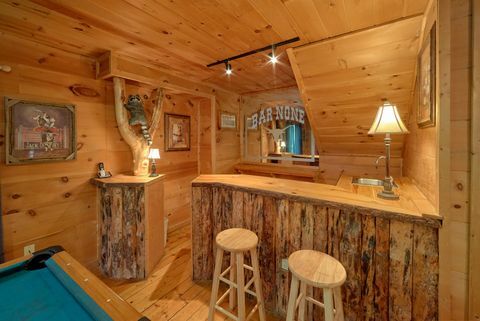 "Bar None" is a Smoky Mountain cabin masterpiece. 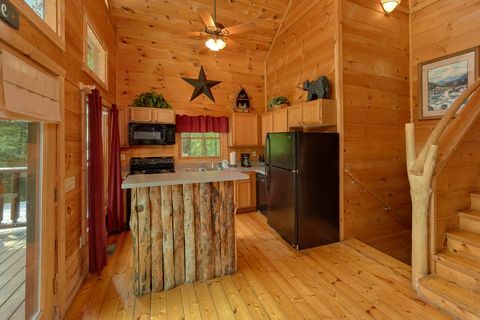 With attention paid to every detail of the cabin's decor, this cabin brings the ruggedness of the Smoky Mountain forests indoors. 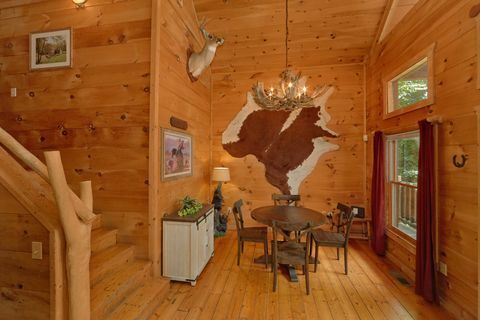 From the rustic décor of the downstairs wet bar to the antler chandelier in the dining room, every design element of this cabin reflects the natural surrounds of the Smokies. 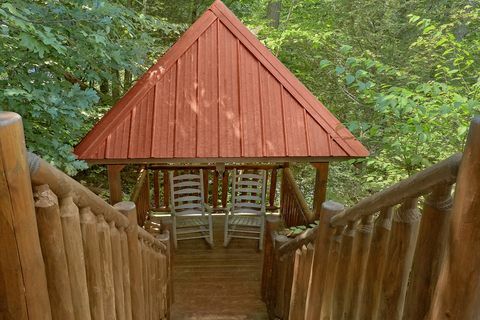 In addition to the very charming décor of this Smoky Mountain 2-bedroom cabin rental, a unique shaded gazebo connected by stairs to the back deck provides the perfect setting for an in-cabin wedding or simply an enjoyable meal with friends in the mountain air. 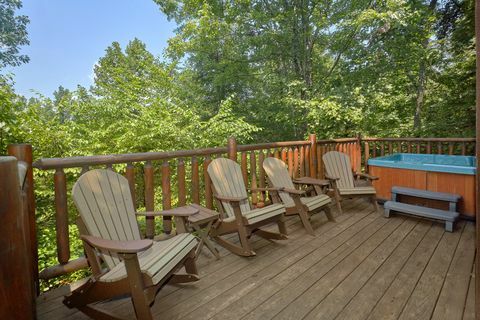 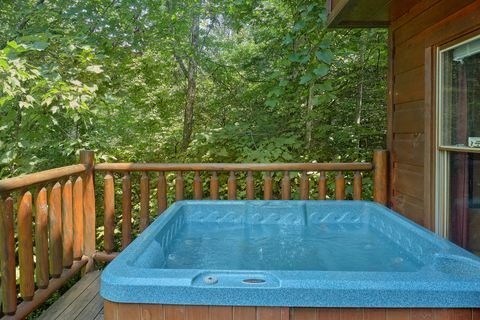 After enjoying all the Smokies area has to offer, return to your home in the Smokies for a relaxing dip in your large hot tub as the sun dips below the mountains. 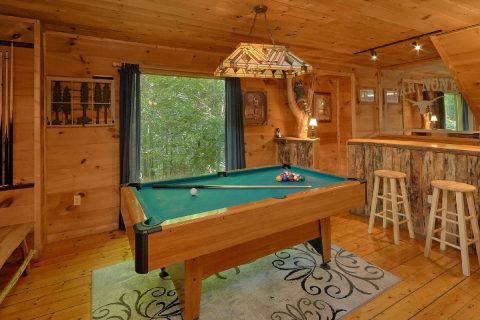 After dark, the family can enjoy playing pool after a great home cooked meal from your cabin’s fully equipped kitchen. 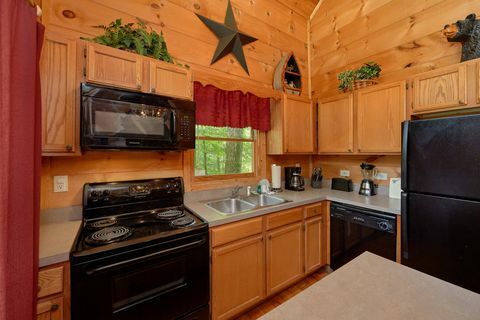 This cabin in the Smokies' dishwasher means cleanup will be a breeze. 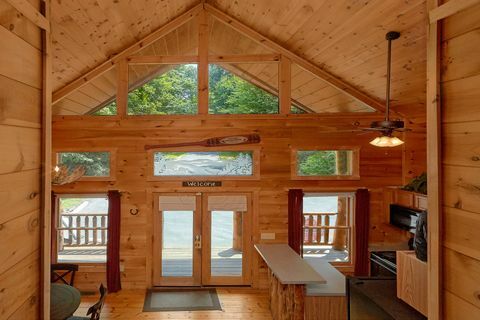 Your cabin's WiFI Internet access makes it easy to research local sights and attractions for your next adventure. 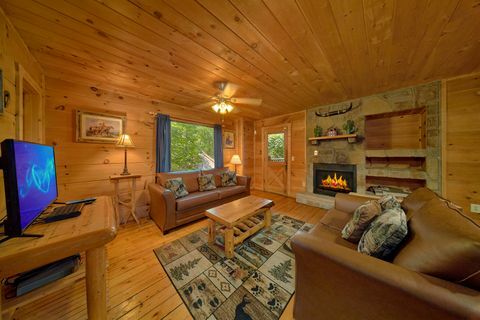 As the children fall fast asleep, you can take the time to relax in front of the stone fireplace and watch some television or discuss what activities the family will explore tomorrow. 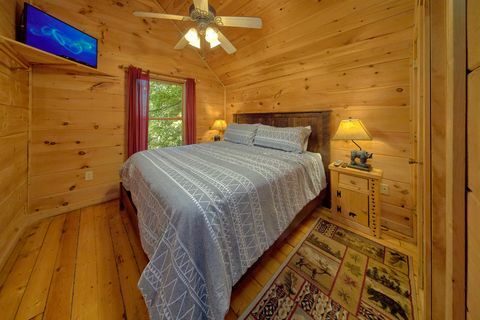 Planning a trip to the Smokies and searching online for "cabin rentals Gatlinburg"? This rustic Smoky Mountain 2 bedroom cabin provides plenty of space for you and your family to enjoy a lovely vacation to the Smokies!